DETROIT (Bloomberg) -- BMW boosted December sales 11 percent to hold off Mercedes-Benz and recapture the U.S. luxury-auto sales crown for 2014, as premium brands benefited from a surging stock market, low interest rates and attractive leasing offers. BMW Group's namesake brand reported 41,526 deliveries in the U.S. last month, helped by the 3- and 4-series sedans and the X5 SUV. Daimler’s Mercedes brand said it delivered 34,009 vehicles, a 3 percent increase, getting a push from the redesigned C-class sedan and GL-class SUV. Annual U.S. sales for BMW rose 10 percent to 339,738, allowing the brand to win back the title it lost to Mercedes in 2013. Mercedes, hampered early in the year by limited inventory for its popular CLA sedan, finished with 330,391, up 6 percent, according to a statement on Monday. Low interest rates and high resale values have reduced leasing costs, widening the appeal of that option for car consumers generally to almost three out of 10 buyers, said Alec Gutierrez, an analyst for KBB.com. For luxury vehicles, the lease rate is almost double. New entry-level cars and SUVs, strong consumer confidence and a resurgent stock market also fueled demand for luxury vehicles, he said in an interview before the sales figures were released. “The emergence of a number of more affordable entrants in that segment, a solid financing and product environment, and demand fed by the stock market and real estate helped drive the growth,” Gutierrez said. Toyota Motor Corp.’s Lexus brand said sales climbed 15 percent to 39,879 vehicles in December as deliveries rose 10 percent for the IS sedan and 4 percent for the RX SUV. Lexus annual sales rose 14 percent to 311,389. Lexus held the U.S. luxury-sales title for 11 years before ceding the spot to BMW in 2011. Lexus, which decided not to match the sub-$30,000 prices of Audi and Mercedes for entry-level cars, still holds hope of recapturing the sales title in the U.S., Jeff Bracken, U.S. general sales manager for Lexus, said in November. Mercedes made a splash in 2013, introducing its CLA with a Super Bowl ad starring Willem Dafoe as the devil and attracting new buyers to the brand. About 75 percent of CLA buyers hadn’t owned a Mercedes before and were drawn by its relatively low price. Mercedes last month raised the car’s base price to $31,500 from $29,900. 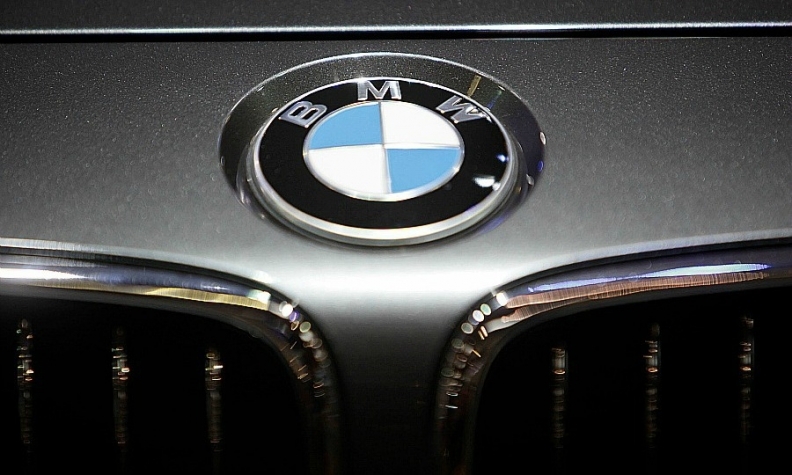 BMW’s title that year was measured by reported sales. Mercedes topped BMW in 2012 by vehicle registrations, according to researcher R.L. Polk & Co. Registration numbers aren’t available until a few months after a vehicle is sold. In 2013, Mercedes topped BMW for sales as well as registrations. The discrepancy between registrations and sales is because cars can be reported as sold when delivered to dealerships instead of only to consumers, Tom Libby, lead North American analyst for Polk, has said. Volkswagen Group’s Audi unit said December sales rose 13 percent to 19,238 vehicles, a record for any month. The brand posted 2,690 deliveries for its new entry-level A3 sedan, which starts at $29,900, and a 10 percent gain for the A6 sedan. Audi annual sales surged 15 percent to 182,011 vehicles, marking the fifth straight record year, the company said in the statement. About 80 percent of A3 buyers were new to premium brands, Scott Keogh, head of Audi of America, said on a sales conference call. Luring new buyers with low-price cars is a gamble, said Kevin Tynan, an auto analyst with Bloomberg Intelligence. Luxury brands risk alienating buyers of $100,000 flagship sedans, who will share the road with less-expensive models bearing the same badges. But BMW and Mercedes don’t have a mass-market brand, as Toyota provides for Lexus, to generate a stream of aspirational buyers working their way up the brand ladder, he said. “They’ve been missing out on the volume buyer ready to move up to the luxury space, that first-time luxury buyer who comes in with a positive experience within that portfolio,” Tynan said in an interview. Globally, Mercedes trails BMW, which took the luxury-car sales title in 2005, and Audi, which surpassed Mercedes in 2011. Daimler CEO Dieter Zetsche aims for Mercedes to overtake its rivals by 2020. Sales figures for Mercedes exclude Daimler’s cargo vans and Smart cars, and BMW’s sales don’t include the Mini brand.